January 2016 marks the beginning of a new era for Feedstuffs. January 2016 marks the beginning of a new era for Feedstuffs. While the award-winning content remains largely unchanged, how that content is delivered to users is changing. “The rapid rise of the web, mobile, social and other technologies into our everyday lives has fundamentally changed how we as individuals consume and interact with information. News delivery is virtually instantaneous, the ability to share or comment a click away. We walk around with devices in our pockets that provide us 24x7 access to whatever content we seek. Simply put, the information world has dramatically changed over the last several years. The pace of that change is only accelerating. As a leader, we at Feedstuffs recognizes this massive shift and will adapt to it to ensure we continue to deliver the high value that our users come to expect from us,” said Feedstuffs managing director Sarah Muirhead. Going forward, Feedstuffs users can expect even more than ever before. Feedstuffs editors will be focused not only on developing great content but also the optimal channel to distribute each piece. They will be providing the industry scoop every morning via the inbox. Breaking news will be instantly pushed out via alerts. Feedstuffs new monthly printed magazines will more loaded with feature content. Feedstuffs.com will be retooled in 2016 to be more content rich and easier to navigated as well as optimized for use on all mobile devices. New quarterly reports will dive deep into the market's top priorities. New topical guidebooks will help the industry sort through the most pressing issues in greater depth. 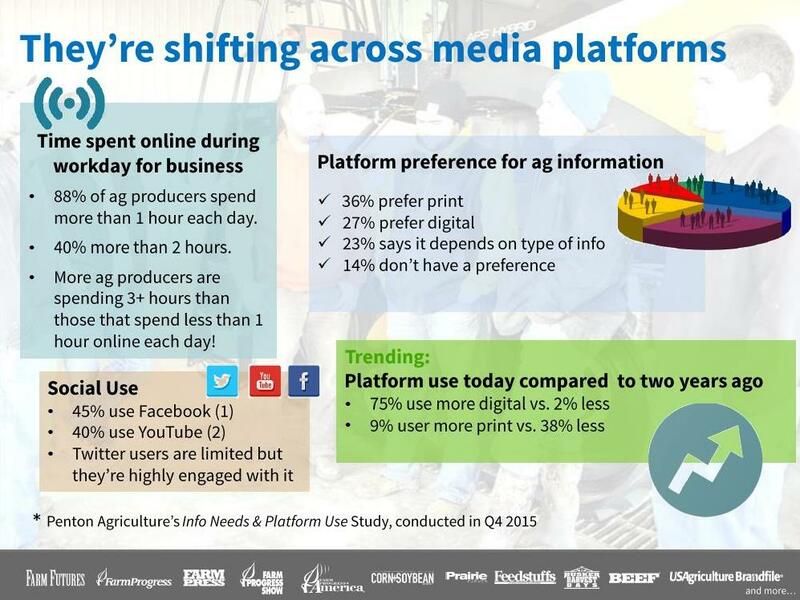 From a marketing perspective, the changes open new opportunities within Feedstuffs. While some marketing fundamentals remain the same, successful marketing campaigns are anything but the same old, same old, said Muirhead. She noted that today’s marketing world is multi-dimensional where marketers are becoming increasing effective by leveraging multiple platforms (print, digital, mobile, social), campaign metrics, content marketing, SEO, better internal sites, rich media, video marketing, native advertising, behavioral targeting, audience extension, and so on. “Ultimately we'll be creating more content than ever before. Our new approach is a far more balanced platform approach that better aligns to users' new workflow and marketers evolving marketing needs. We wouldn't implement these changes if we didn't feel strongly that they will add value to the marketplace, or if it wasn't the right time. The time is right for a more forward-facing approach and that is exactly what we are doing,” said Muirhead. Feedstuffs has been providing coverage of the animal agriculture sector for more than 80 years. It is part of Penton Agriculture and has offices in Bloomington, Minn., and St. Charles, Ill.